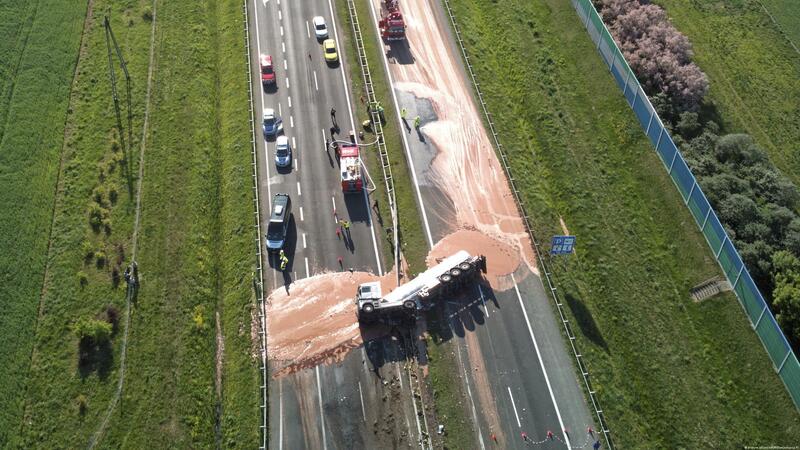 Tons of liquid chocolate spilled on a six-lane highway after truck overturned near Slupca, in western Poland.The tanker carrying the chocolate hit the barrier and overturned blocking the whole highway in the morning. 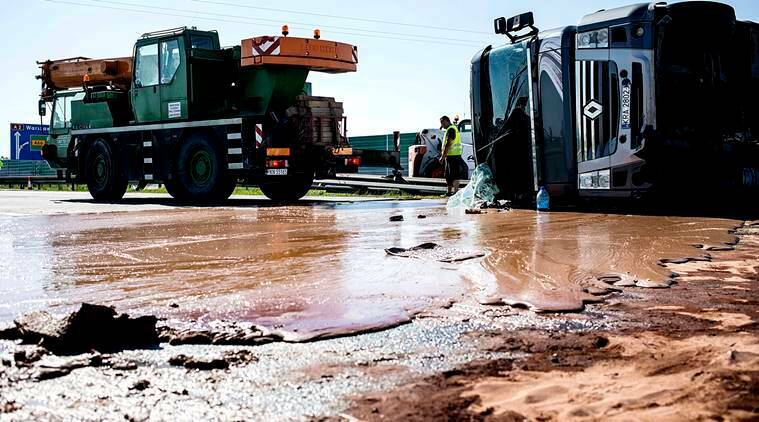 According to media reports, the driver was taken to the hospital with a broken arm, while firefighters struggled to remove a reported 12 tons of solid chocolate from the roadway. Apparently, the liquid chocolate turned solid under the sun.